A couple of years ago, I read a short story by Alice Munro, “Floating Bridge”. It is about a middle-aged woman, Jinny, who has been undergoing treatment for cancer, and slowly losing her battle. She is now at the point where she is getting a hospital bed in her house, and her husband has hired a woman to help take care of her. The story’s present action takes place as they are going home from a visit to her oncologist. There is a side-trip, as well. It is then that we learn that the doctor has told her that her cancer is suddenly and unexpectedly in remission. He said she should go home and resume her life. Then time stopped, she got lost and became dizzy and disoriented as the bridge shifted beneath her in the dark. I think that was the only time I read something, then very clearly thought, Gee, I never knew anyone else had ever felt that way – those metaphors perfectly described how I had felt when I completed my cancer treatments in 2008, and was told to go home and resume my life. Of course, I have known people whose oncologists told them to go home and get their affairs in order, and I know which feeling I prefer. When I was told that an alien invader had been found growing in my lung this past May, it felt like being told to get my affairs in order, because I know just how dangerous metastatic esophageal cancer is, both by the numbers and through my experience with patient peer support. My oncologist has now told me to go home and wait and see. Although the lung tumor was a metastatic recurrence of my esophageal cancer, I am told that when a single, slow-growing met (metastasis) appears after a few years free of detectable disease, it isn’t uncommon for that to be all the cancer there is, and, having removed that, I would now be cured. If there is still more cancer to appear, which is a very real possibility, it is slow-growing, and there will be a real chance to wipe it out, like we did with this first met. This is all outside of my experience; recurrences are usually big, aggressive, and fast-growing. 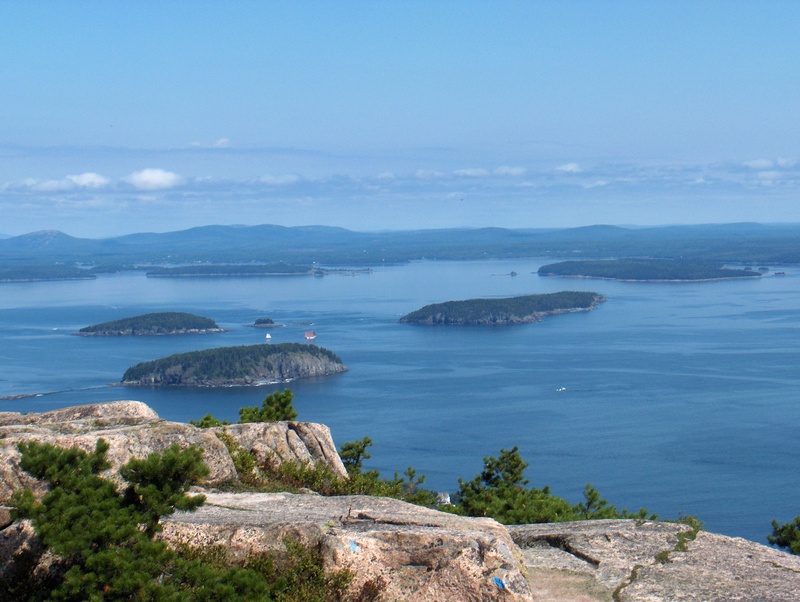 Having cancelled all of our plans for July, in a couple of days, my wife and I will take advantage of this armistice and go to Bar Harbor and Acadia National Park in Maine for the week. It’s one of the most beautiful places in the world, and we’ve got a lot of history there, although we haven’t been back in five years now. Before we had kids, we spent almost two weeks there every summer, we were there with the kids many times, and a few times since; it will be a good place to re-establish a sense of normalcy. And I’ve got this nagging feeling like I’ve just received a miracle. 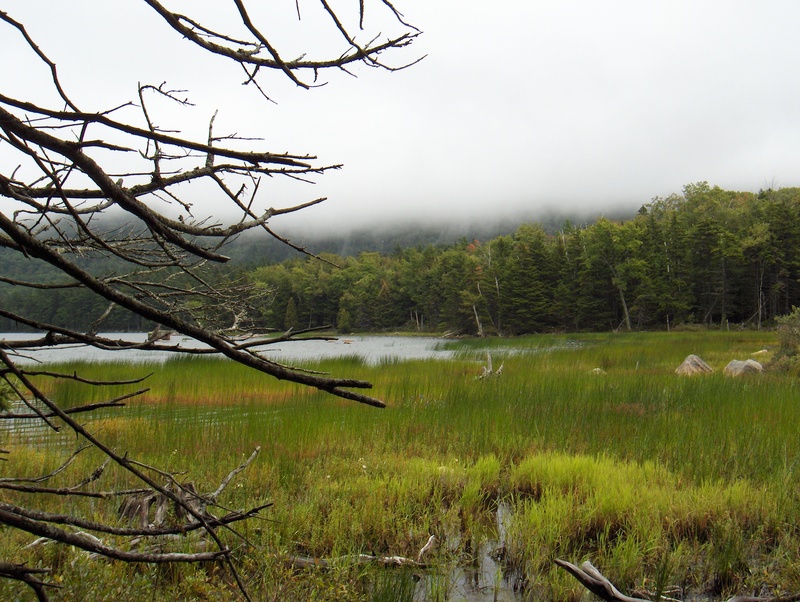 Acadia National Park, hiking in drizzle. This entry was posted in Books & Poems, Cancer, Personal, Something I Read and tagged cancer, doctors, esophageal cancer, music, travel. Bookmark the permalink. I do hope that your new cancer is small and manageable; I certainly understand why each day is particularly precious to you. I’ve been to Acadia, quite a while ago — beautiful, as you say. Lou and I will also be in Maine next weekend, but not as far as Bar Harbor. He grew up in Brunswick. I appreciate, very deeply, the thoughts and feelings that you share, not only here. Paul: I never thought I’d ever say this to anyone, but: Congratulations on your lung tumor!